One thing we’ve decided to try is to have a virtual journal club in which we discuss an article related to LGBTQ health, and for our first article, it seemed like a good idea to start with this article by Laura C. Hein and Mary F. Cox. The topic is timely, and the lead author is a member of our section! Hein, L.C., and Cox, M.F. (2017). Gender queer: politics may be the death of us. Nursing Inquiry, 24, e12181. Retrieved July 6, 2017 from http://onlinelibrary.wiley.com/doi/10.1111/nin.12181/pdf . This invited commentary opens with a discussion of what it means to be transgender or gender non-conforming as well as some data on non-binary identities. The studies cited show that those who identify as genderqueer or would fall under the umbrella of non-binary gender identity are a much larger percentage (36-70%) of the transgender population than many may think (para 1). A discussion of the impact of the 2016 presidential election on anti-LGBTQ hate crimes (80 incidents in the week following the election) highlights the importance of understanding the political context and its effects on LGBTQ lives (para 2). Further, a connection is made between not fitting “neatly” into M/F gender boxes and risk for violence. What are your thoughts? Do you work in a clinical area such as an emergency room where you are able to observe trends in violence? Does your organization recognize non-binary gender identities in the care setting? In the health record? How can we not only ensure our patients’ dignity and safety but also capture data when their safety has been violated, so that their experiences can be addressed rather than erased? 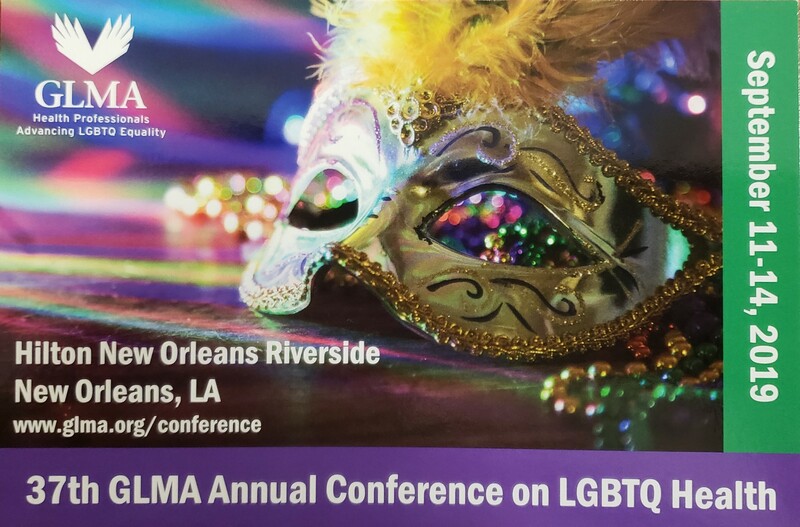 I am looking forward to the GLMA conference in Philadelphia this September. One of my goals is to gain a well informed perspective of gender queer challenges with respect to acquiring medical care and achieving healthy outcomes. Unfortunately, this article provides a focused viewpoint. As an RN, I am left with more questions than answers after reading this article. What were the number of incidents of gender queer hate crimes leading up to the election? What constitutes a gender hate crime or incident? What specifically has the current administration done, not said, to help or impede quality health care for the gender queer community? Since correlation is not causation, what other factors might be contributing to these incidents? What do we as a community want from the federal government? Like the article stated, I am also for healthy outcomes for all of my patients. I really do not want to get caught up in the anti-Trump momentum. It is entirely possible we are being counter-productive by being so divisive. I firmly believe we can continue our progress in these times. Instead of behaving like we are being victimized by an administration, we can be educating medical professionals and the general public while fostering a more accepting culture. Let’s be the medical professionals who develop a bridge between people of all political affiliations. I am dedicated to this proposition. I think the goal of this piece was to prompt more questions, actually. Or at least, that’s my reading of it. In particular, as poor as our data on trans people in general are, our data on genderqueer and other non-binary-gendered people are pretty much nonexistent. Re: the political piece, I get where you are coming from in not wanting to get too caught up in partisan politics. There are, however, policy decisions being made by the current administration that impact the health and the provision of health care to LGBTQIA people, such as eliminating questions about sexual orientation from national elder health surveillance (planning to discuss that article next month!). Regarding hate crimes, as that was the topic of this article, I tend to think the increases people are seeing are more to do with the overall political climate than any one party or politician. Though the specific encouragement of violence against dissenters by our president is an important component of that, I agree that there are larger societal and systemic forces involved. I guess what I’m trying to say is that I think it’s critical for us to be aware of the impact of policy decisions and the political climate on all of our patients, which was one of my take-aways from this piece.